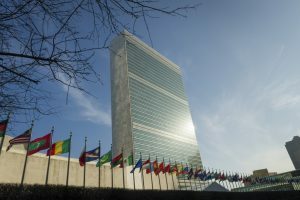 Iran has responded to a draft UN resolution condemning the country’s human rights record by attempting to deflect responsibility and verbally criticizing the sponsors of the draft. However, Iran continues to renege on its domestic and international obligations on human rights. In presenting her semi-annual 2017 report to the UN General Assembly in October 2017, UN Special Rapporteur on the Human Rights Situation in Iran Asma Jahangir noted concerns over civil and political rights, including restrictions on the rights to freedom of expression, opinion, and information. Jahangir called for progress to protect the rights of women “in practice, and in legislation”, to ensure the independence of the judiciary, and to ensure remedy, reparation, and truth for victims of rights abuses. 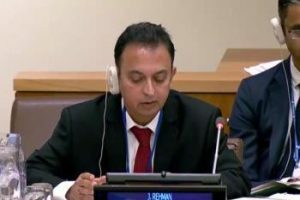 The special rapporteur also noted that Iran’s ethnic and religious minorities continue to face challenges, including the unabated discrimination against and targeting of the Baha’i community, which threatens their right to a livelihood. As a representative of Iran’s Foreign Ministry led by Javad Zarif, Bahrami refused to accept any criticism from the international community or engage with it on improving Iran’s record. At the November 15 press briefing, Ghasemi also refused to answer a reporter’s question regarding why Iran had not allowed any UN official to visit the country since 2005. After Jahangir replaced Ahmed Shaheed as the UN special rapporteur on Iran in November 2016, Iranian Foreign Ministry and judicial officials held meetings with her in Geneva and New York, but have refused to allow her into the country or listen to the documented testimonies of victims of state policies. Iran increased its contact with the special rapporteur during President Hassan Rouhani’s first term (2013-17), however, since 2015, government officials have vehemently rejected reports of rights violations submitted by the UN’s Human Rights Council and the Third Committee. Before the vote, the Iranian diplomat was given an opportunity, but made no attempt, to respond to the abuses reported in the resolution. After the resolution was launched, he only responded by criticizing Canada. “Canada hires and supports ‘good’ terrorists to carry out outrageous violations of human rights aimed at de-stabilizing governments that it shamelessly calls ‘rogue,’” said Al Habib, who is based in New York. 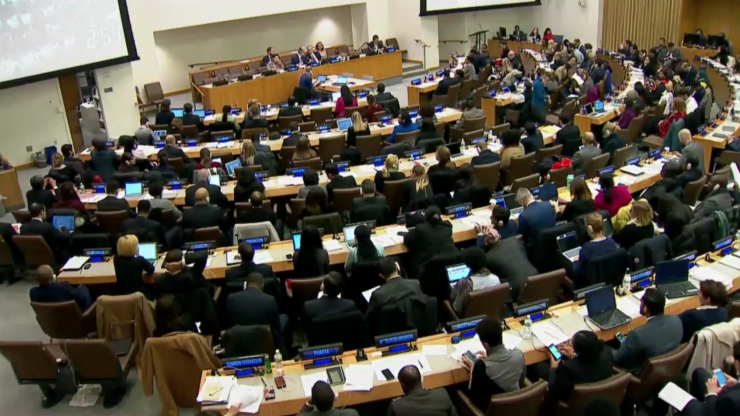 The US, UK, France, Germany, Israel, Honduras, Portugal, Micronesia, Slovakia, and Spain co-sponsored the resolution, which was led by Canada, and which was adopted on November 13 with 83 Yes votes. The draft resolution, titled “Situation of human rights in the Islamic Republic of Iran” (document A/C.3/72/L.41), was ratified by the UN’s Third Committee with 83 Yes votes, 30 No votes and 68 abstentions. In addition to China and Russia, Syria, Pakistan, North Korea, and Venezuela spoke out against the resolution. Some of the countries that abstained from voting said they did so with the hope of engaging in constructive dialogue with Iran on human rights. 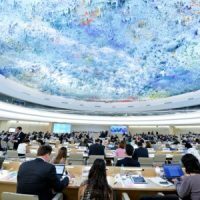 The resolution welcomed progress in the areas of death penalty legislation and Iran’s participation in the Committee on the Rights of the Child, the Committee on the Rights of Persons with Disabilities, and in the Universal Periodic Review (UPR). It also noted Iran’s peaceful electoral process and welcomed Iran’s contact with the UN special rapporteur on the situation of human rights in Iran.